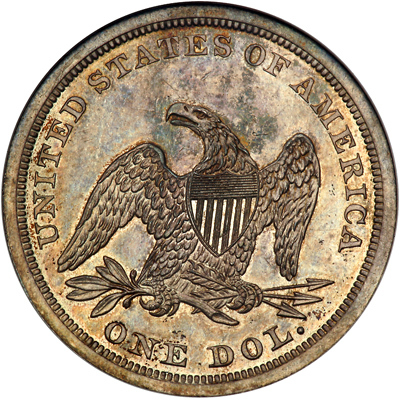 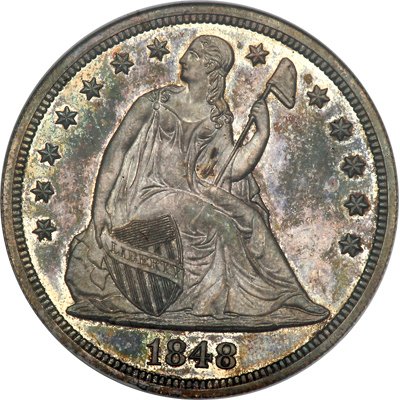 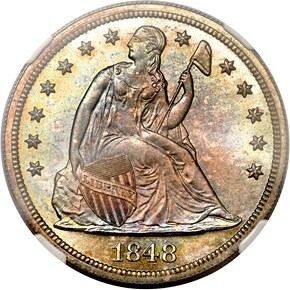 The low business strike mintage of only 15,000 pieces--less whatever quantity may have been melted in the Orient or elsewhere in the intervening 160 years--makes proof examples of this issue doubly attractive. 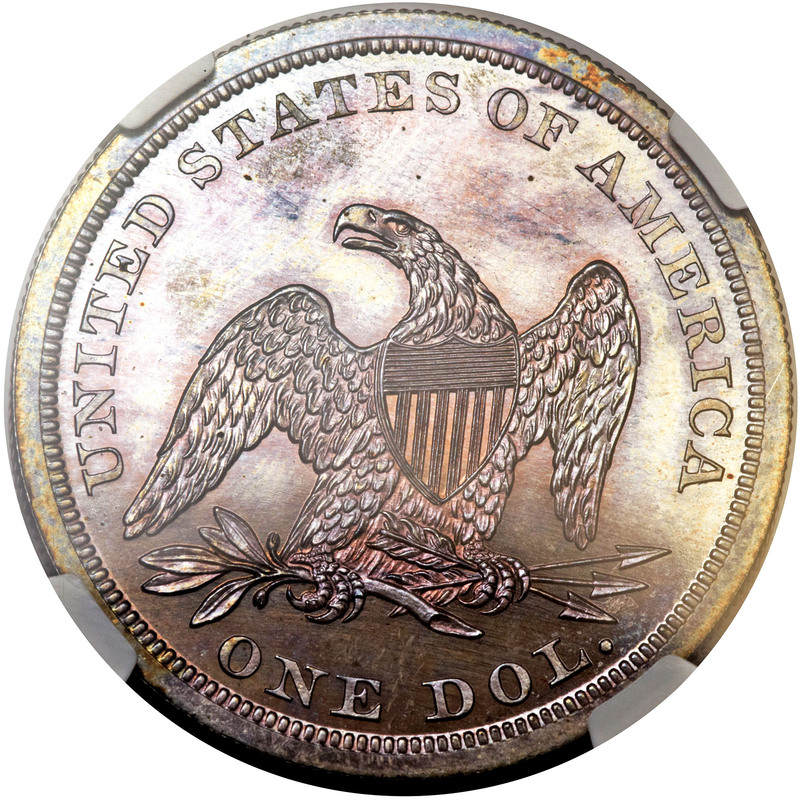 Q. David Bowers' Silver Dollars and Trade Dollars of the United States: A Complete Encyclopedia, (1993) estimates that 25 to 35 proof pieces were coined, further guessing that nine to 17 examples survive today. 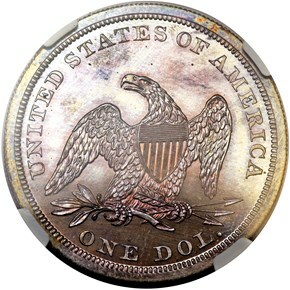 In the 2006 A Buyer's Guide to Silver Dollars & Trade Dollars of the United States, third edition, Bowers more cogently estimates that only three to five examples exist in PR64 or better. 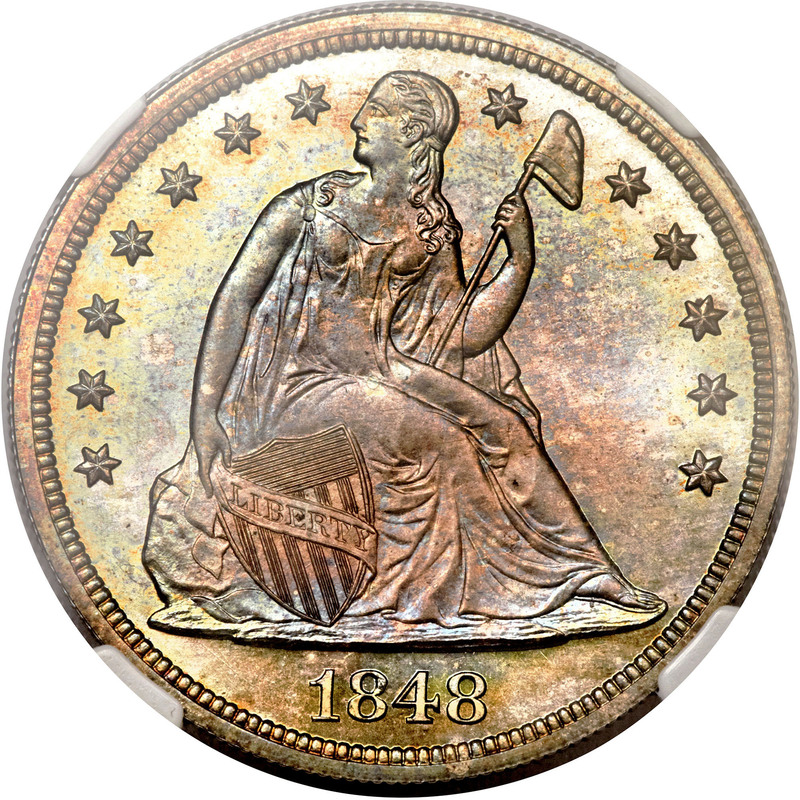 Of course, it was a full 10 years after the production of this issue that the Mint began widely proclaiming its offerings of proof coinage to the general public, rather than only to the privileged few.